Ludovica and Roberto Palomba are the designers of this contemporary reinterpretation of a classic shaded lamp. 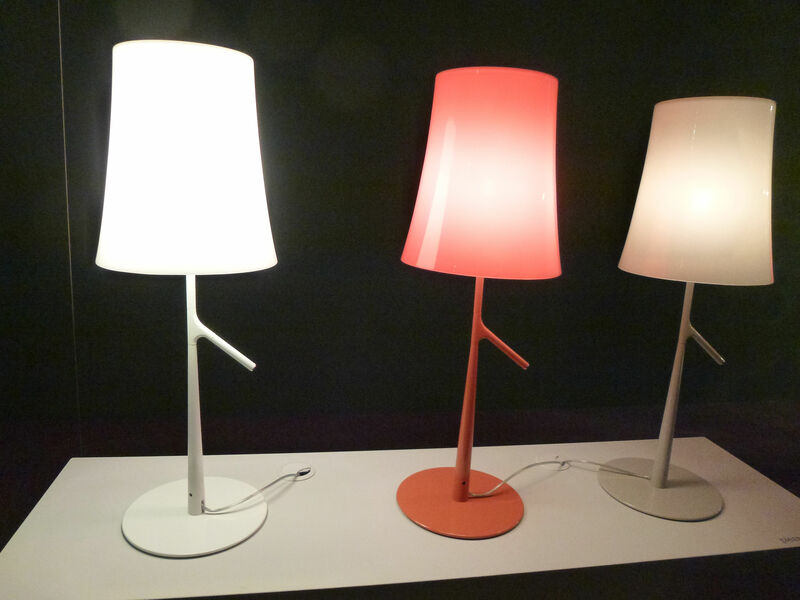 Birdie is a reading lamp that emits both suffused and downcast light. Nature and its spontaneous proportions inspired them to imagine a stand that recalls the slim stalk of a young tree with a little branch ready to welcome a bird. The touch dimmer switch - designed like a branch - is activated by lightly touching it. The visually delicate, hardwearing structure is made of lacquered steel, while the polycarbonate diffuser filters a warm, intimate light. Colour is a fundamental aspect of this design available in 4 monochromatic variations to. emphasize the unitary nature of the structure. The white version is a discrete, elegant and clean presence, while the other colours - grey, orange and amaranth - are stronger. All interact with a range of domestic spaces and relate to other furnishing elements while adapting to the needs of modern living. 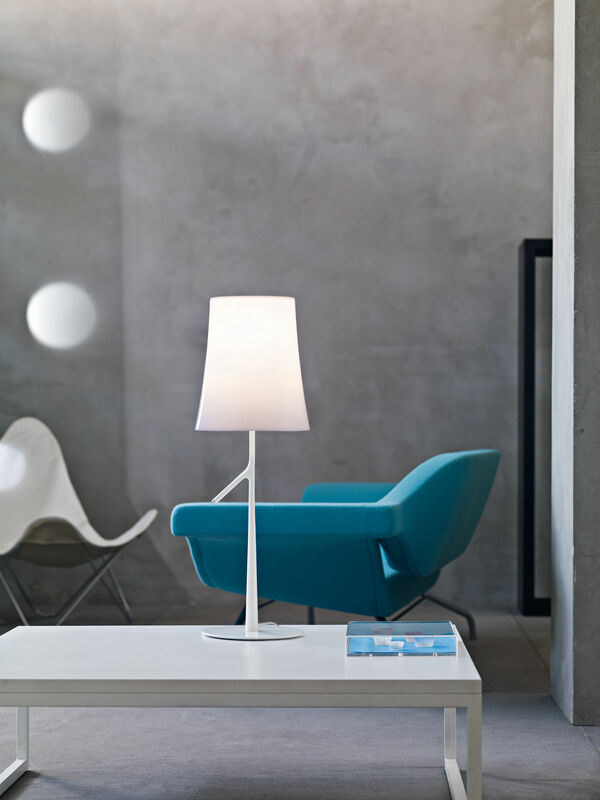 Available in a floor and table version - Birdie is a friendly, harmonious and multifunctional lamp. It combines a light, flowing and familiar design with a very friendly appeal.